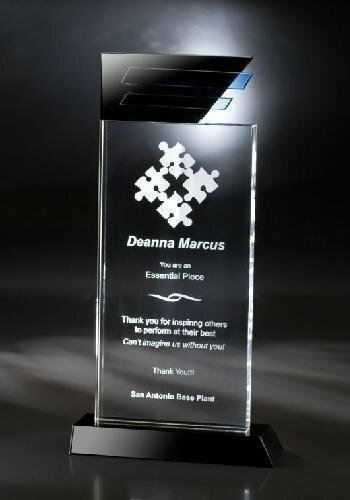 Teamwork and collaboration is what this platinum sculpture award is all about with stunning colorful Art Glass on a black marble base. Ventura is part of the Chien J. Wang Collection designed by international designer Chien J. Wang. Mid-Century Modern meet the new century. The Ventura takes you back to the golden age of industrial design. 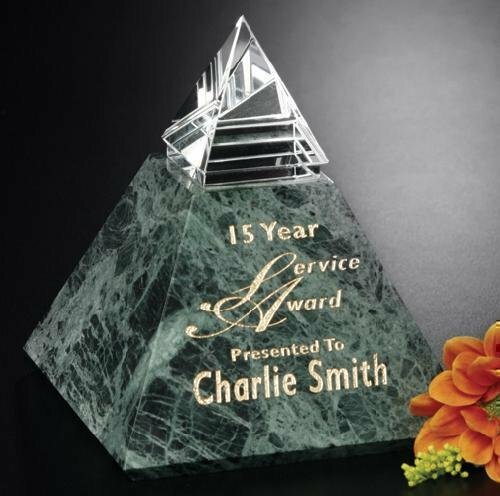 A golden chard punctuates a halo of iridescent colors on this Art Glass award and has a black cast stone base. The word verdant means "lush, green, and fertile." 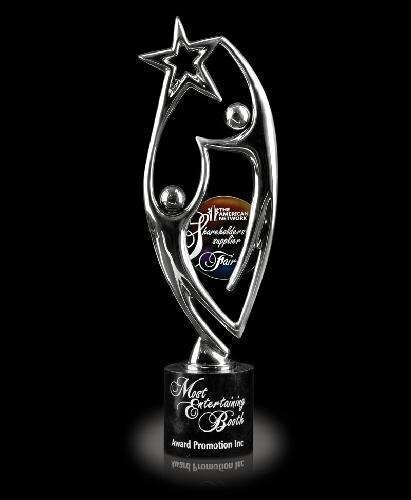 Use the Verdant Star to recognize those that contribute to a growing business. 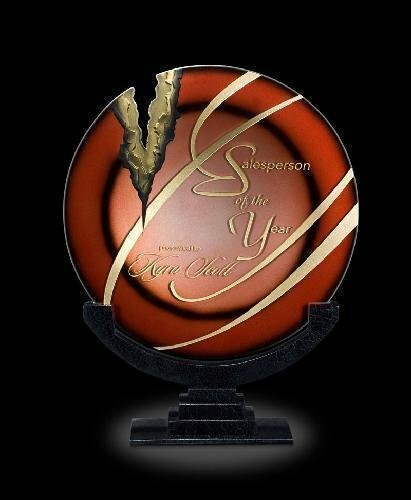 Circular jade glass on a green marble base is an award for everyone. An award bearing a simple jade glass on a green marble base will make a daring statement. Today's corporate champions use ingenuity and flexibility to accomplish goals and move ahead. Reward these first-place winners with an award that symbolizes success and triumph. Timeless beauty is reflected in this traditional obelisk. A perfect complement to the most successful achievement.